Pictured above are an assortment of Edible Communities’ magazine brands. Add in the websites and the total hovers around 90. Noelle Celeste was surprised, five years ago, to discover Edible Columbus, a fine-looking magazine dedicated to the capital city’s local food. Not that Columbus didn’t deserve it. She knew the city well since her teen years in the governor’s mansion with her family. But excitement over farm-to-table food was everywhere, especially in Northeast Ohio, where she spent most of her life. If Columbus could have one… “Why doesn’t Cleveland have its own magazine,” she asked herself. She also asked her husband, political consultant Jon Benedict, and the Cleveland Heights couple quickly borrowed the equivalent of a home mortgage to start a new version of the quarterly. Christopher Ellis and Dylan Jacobs, a couple who split their time between Boston and Greenwood, bought the Maine franchise from Heather Carroll. She had intended to start a publication called Coastal Maine Edible but never got it off the ground and subsequently moved out of state. 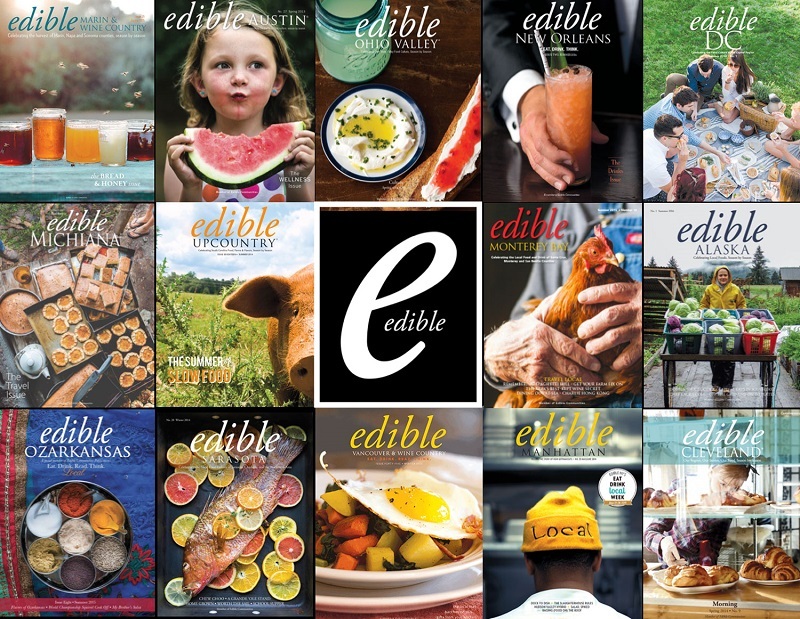 Edible Maine will start out as a quarterly, with veteran local food writer Michael Sanders serving as editor. Its direct competition will be Zest magazine, launched in 2014.